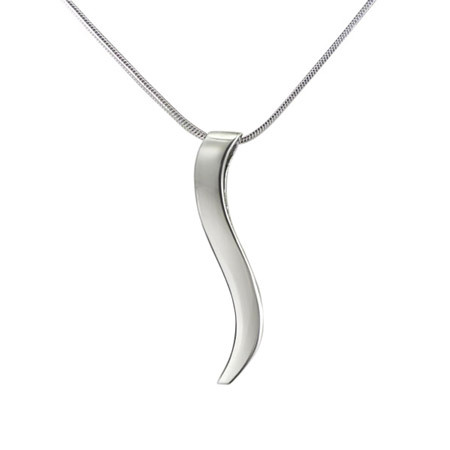 Sterling Silver Ogee Pendant: It's the meaningful "Connection Necklace"
The double-curve shape is the line of connection found in the traditional Asian symbol for balance and harmony. Yin represents female and Yang is male. 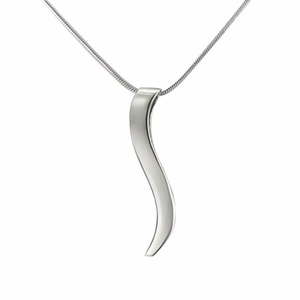 The form of the "Ogee" pendant echoes that lasting connection, the balance found between 2 people. 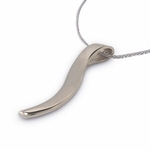 Customer Reviews for "Sterling Silver Ogee Pendant"
"I purchased a Ogee Silver Pendant for my wife on our anniversary. I had questions about the product and had to have it by a specific date. My questions sent by email were promptly and professionally answered. Item was shipped and received on time as promised. My rating is excellent in all areas for ARCHITECTs Touch: Gifts of Elegance." - E.J.